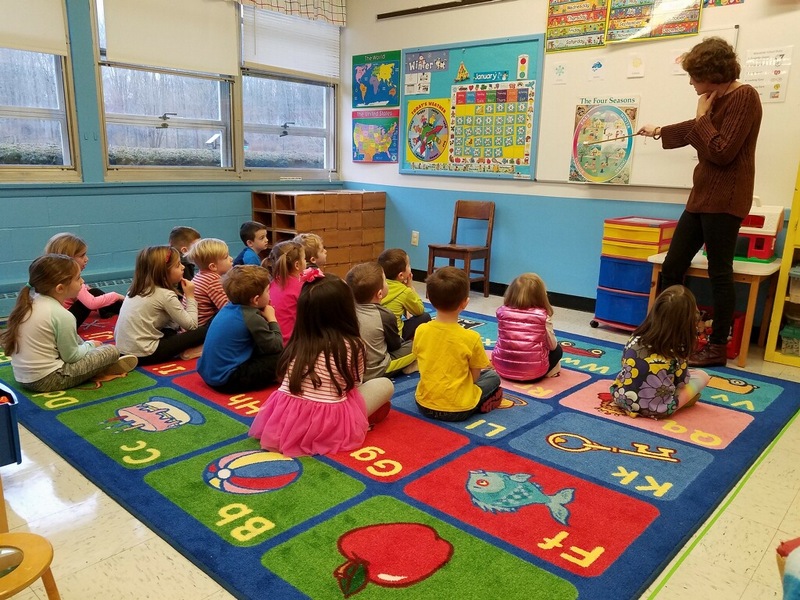 The largest of the rooms which serves as our main PreK and Busy Bees Classroom has child-sized tables and chairs, easels for painting and drawing, cozy reading nook and numerous shelves equipped with puzzles, games, and arts and crafts. Our Tiny Tots main classroom offers areas to explore gross and fine motors skills through play. 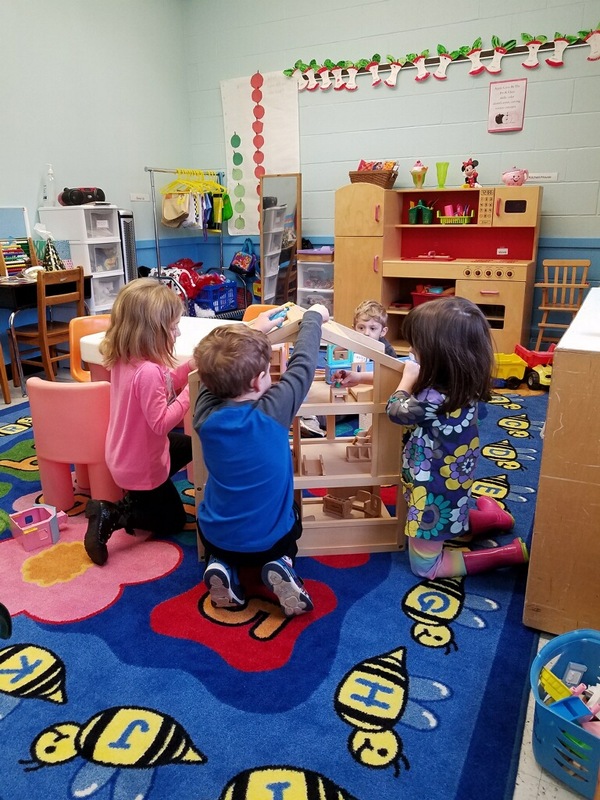 Both main classrooms have open play areas that include age appropriate building blocks and a wide assortment of other toys. There is also a sand/water table with next activities weekly. Our third main classroom is used for our additional STEM class for PreK and BusyBees. 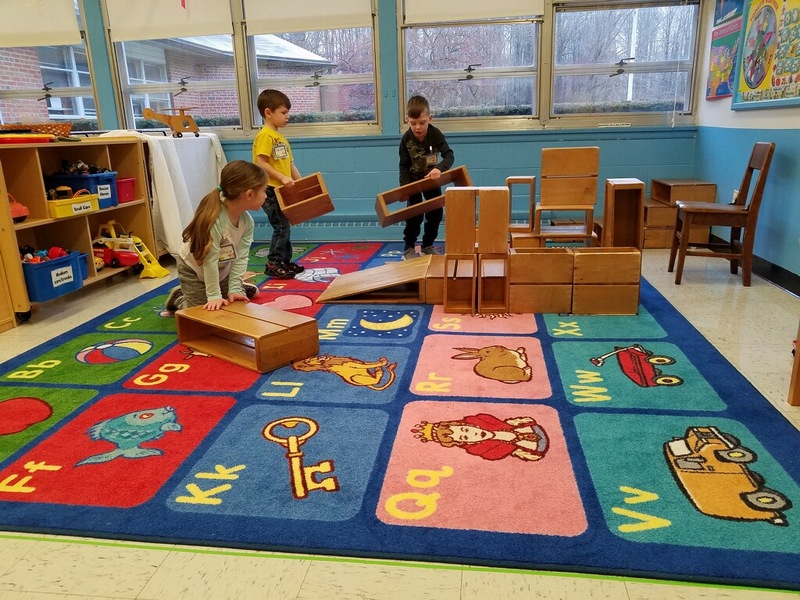 This room is primarily used by PreK and Busy Bees, it contains large muscle climbing equipment for large motor skills. Equipment is rotated often. There is a modern outdoor playground with swings, sandbox, tricycles, climbing equipment and slides. 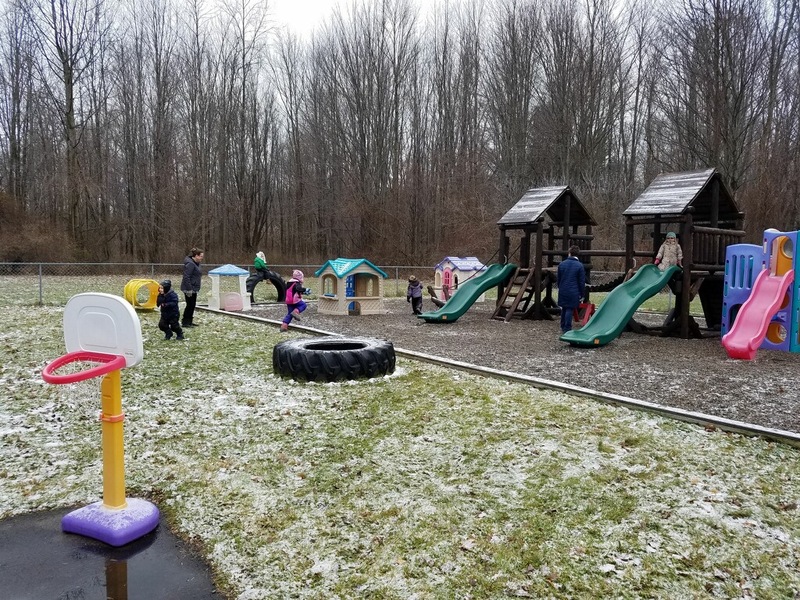 Children have outdoor recess even during the winter months based on the temperature. 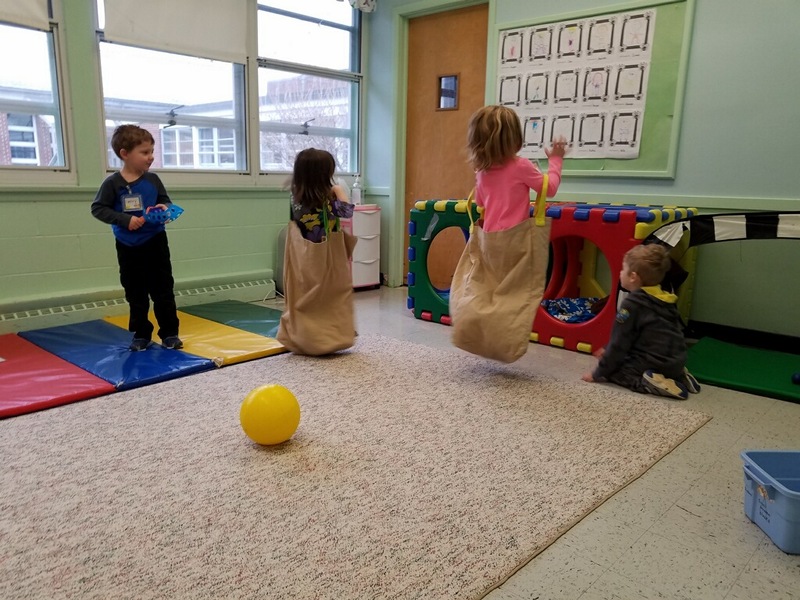 Here at Woodside, although we do not have the proper facilities or staff to change diapers, it is acceptable to send children in disposable training pants. Bathrooms are accessible to the children and trips to the bathroom are part of our daily routine.